In most areas of our lives we accept that when we are hiring the skills or expertise of others that we are, in effect, yielding to a greater authority. This is often true of everything from financial advice, to legal advice, to mechanical and car related advice or even paying for a meal prepared in a Michelin starred restaurant. Increasingly professionals are forced to compete in a world based on instant gratification. 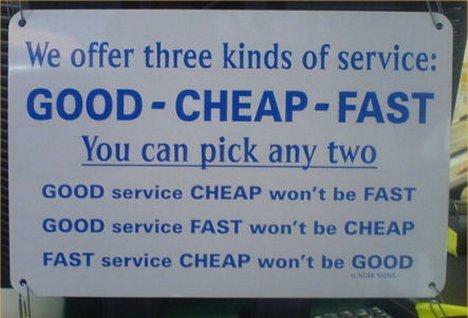 Many unwittingly want a high quality service, cheap and fast. This is not always possible nor a good thing for your patient or client. It can breed an unhealthy and conflicted world where everyone ends up paying a higher price many years later. The answer is we need to start asking the right questions, and not just searching for the right answers. Start asking the right questions! Saying something is expensive is a cheap shot. Understanding why is a better question, that practices should readily answer. More importantly when somebody pays for something, both the provider and patient are instantly more engaged. This is a positive thing. Upfront it avoids waste. 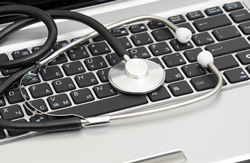 It ensures the patient will actively source the right information that best meets the patients need. 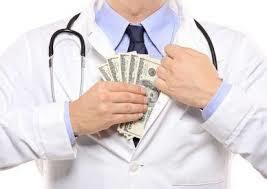 It creates a respectful and positive mutual dialogue, that reduces medico-legal and bad debt risks. We may have a vague notion of what that service is worth and do the best research possible to inform ourselves of what constitutes value for our hard earned money – but at the end of the day we cannot be experts at everything and we must often go with our gut when we make the final call. The ease of making such decisions depends not only on the stakes, but how sure we are that we are getting what we want. Such decisions are most often easiest when we are negotiating a service we want rather than one we may need. It is a lot quicker and easier a process to decide to indulge our desires than to deal with the practical, pragmatic necessities of life. ‘Needs’ are trickier. Often, the less we want something that we need, the less we are likely to understand about it in the first place. This makes a rational informed decision and a genuine appreciation of the value of such a service, all the more difficult. Nobody wants to be unhealthy, even those of us who may struggle to overcome our own bad health habits. So when faced with the prospect of ‘having’ to seek expert medical advice and treatment, the patient’s perception of the equation is rather stacked against the medical expert. So as service providers with a somewhat captive (if occasionally resentful) clientele, what do GP’s need to keep in mind when making the decision and value proposition clearer for their patients? Or, more importantly, how do doctors get the best outcomes for their patients without having to cheapen the value of their own years of experience and expertise built up through endless hours of study, learning and updating knowledge? Transparency about the process – proper explanations provided in plain and non-patronising language. Questions answered, and hopefully anticipated. Understanding why referrals are warranted and why a particular health professional they do not know will now be added to the mix. These are all foundation stones that need to be considered as part of the long-term relationship between GP and patient. 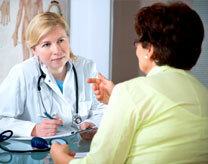 If managed correctly, patients will acknowledge and share your number one concern – their health. But a cold or indifferent approach to any of these areas can be enough to convince a patient that their GP is simply interested in billing them as much as they can get away whilst helping their mates aboard the gravy train. 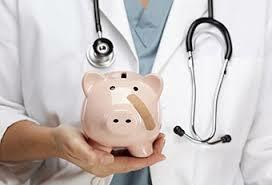 Like accountants when it comes to your financial health, GP’s have been the traditional patient advocate. This turf is constantly being challenged by health insurers and other fringe providers such as pharmacies to play a greater role. This may or may not lead to conflicted advice. Furthermore the medical workforce shortage is rapidly abating. 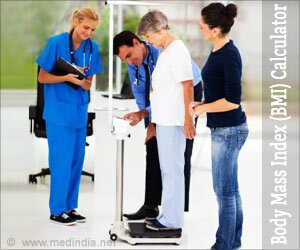 Patients may start feeling overserviced. They will desperately seek out those doctors who are not indifferent or appear conflicted. Practices will need to further demonstrate that they are open and transparent. That they are putting their health patients health first. This is how trust is built and the value of your service protected in the patients eyes. Despite what they may believe, most people have little understanding of what differentiates an average doctor from a great one. People want to know why they should choose you over another doctor – these are often not rational decisions and are based most often on word of mouth and their own gut feeling based on things like initial rapport. A wall of diplomas will not convince a patient anywhere near as quickly as swift vindication following a recommendation from a friend or relative that you are an excellent GP. Once again – if the patient’s intuition is that you are one of the good ones, they will value your skills and understand why you cost money. The flipside is that will always remain subject to their experiences – patients can be fickle , often due to their vulnerability at the time and a bad outcome, inconvenience or error – no matter how minor – can define your reputation in their eyes. It is therefore vital that they remain as informed as possible at all times of the limitations of their treatments and what they may realistically be able to expect. If their expectations cannot be met, the fault is with them. Only once the above elements are balanced to the patient’s satisfaction are they in a position to ask and understand what the service is worth and what they are really getting. They need to understand the value of what you have to offer. They must understand that they are part of a process in which, while 100% of things may go 100% to plan 100% of the time, best efforts are being taken to maximise each of these percentages in what is an infinitely complex and changing system. It is about building a positive and mutual ongoing relationship. But above all it is about the price the patient will pay if they do not make the best possible decisions based on the best possible information. Three ways to bridge the expectation gap? Communicate what, how and why you provide your service. Build a relationship with your patient that tells your story. Use template emails, social media, a website (mobile phone app enabled), newsletters, patient treatment brochures, waiting room notice boards and TV, recalls and reminders, telephone messages on hold. 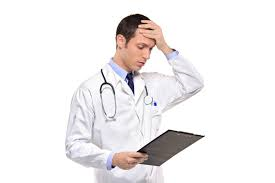 Follow up that every patient has acted on the information in writing where possible. Technology today is amazing. SMS texting systems that automatically document this action in your medical record is useful tool. This is achievable for complex and routine problems. This is medico-legally safer. It is a great way to manager those peaks and troughs in your appointment book. Society places a high value on life, however for many, we seem to be more aspirational about our wealth than our health. if you want to be happy, clearly state this starts with your health. You cannot earn money or properly look after your kids or loved ones if you are not well. So what could be more important. 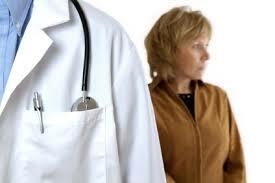 GP’s must start this conversation in the consulting room without fear or favour. In one moment, it will build a mutual respect and trust. It will show that you really care. Whether it is a patient/client or staff ensure you attract like minded people. Ensure they understand what services you provide so they know the broad range of services you offer and why you provide them in order to build trust which is critical. Explaining how you provide your services is also important so everybody can make the best out of the relationship. Make sure everyone is actively engaged and if not find out why? 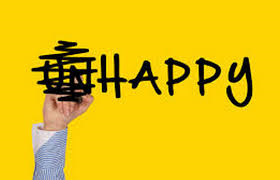 Do not charge to resolve an unhappy patient issue with the practice. Listen first, and respond appropriately. If it gets all too hard, it is better to refer the patient to someone else within or out of the practice depending on the nature of the problem. Sometimes terminating a bad relationship is the most humane thing you can do…..
Ethically a professional should not be treating a patient or client, who they do not believe they can help. This can do more harm than good. The same applies to employing staff. If they are not on the same page and engaged, they are your weakest link in the chain. The idea is not to keep everyone happy, but to meet and even exceed a patient’s promised expectation. To do nothing somebody could get hurt. Unfortunately it is not a choice but a responsibility. Previous postNew Tax Office Warning – your practice could be facing a double risk?! The sad reality is no you probably can’t. Until I found out less than 15% of doctors take the Hippocratic oath and ZI came to work in the State Health system I thought otherwise. Unfortunately the Rights of Private practice and other lucrative perk in the Government medical system mean the more they don’t cure the more money they make. I’ve thrown away all the pills, saving me over $100 a month and now with diet and some good herbal supplements I’m feeling 10 years younger. Shame the prescription drugs have me 20Kg heavier! A physician I know admitted Western doctors are not trained to think laterally, so they treat you for one thing and it throws something else off needing additional treatment and the drug companies and the doctors wallets swell accordingly. Im not a cynic, this is a lived experience!